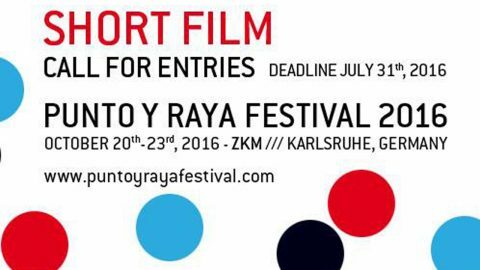 Punto y Raya Festival launches its SIXTH International Call for Entries open to Short Films built up ENTIRELY with non-representational imagery. Only Dots & Lines as ends in themselves! FREE participation | ONLINE submissions. Check out the PARTICIPATION RULES and join us! The SIXTH edition of Punto y Raya Festival will take place from OCTOBER 20th through 23rd 2016 at ZKM (Zentrum für Kunst und Medientechnolgie) (Karlsruhe, Germany). As always, we’ll be hosting a very intense programme featuring the Short Film Competition, other guest Screenings, Academy & Junior activities, and PyRformances (Live Cinema sessions).